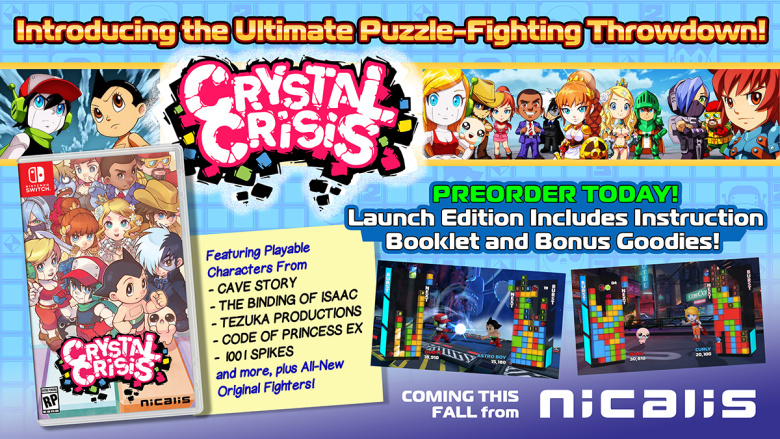 Nicalis has just announced a new crossover title, the puzzle-fighter mashup that is Crystal Crisis. 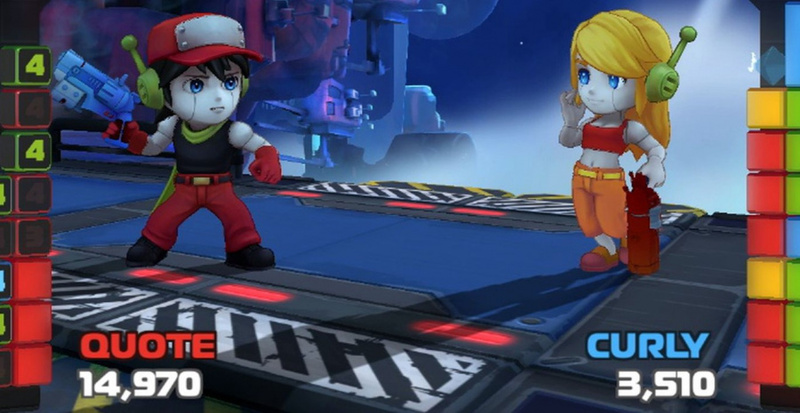 Bringing together characters from Cave Story+, The Binding of Isaac, Tezuka Productions, Code of Princess EX and 1001 Spikes (plus plenty of all-new fighters to take into one-on-one battle). Instead of pressing buttons to kick and punch, you'll arrange falling gems into matching colors to clear them from the screen and inflict damage on your opponents. It's your usual puzzle-fighter affair, but with 19 different familiar characters to choose from it looks to be an over-the-top little offering. Weird idea. The gameplay looks alright, but animation like this seems kinda unneeded? Very odd feeling to this game, seems more like they had the licenses for Blade Strangers and just plopped them into a easy to make crossover. It is cool to see Astroboy... although I have no clue what it even amounts to haha. A crossover featuring Johnny Turbo? Bought! Cave Story >>>>>>>>>>>>>>>>>>>>> The Binding of Isaac. Indie Puzzle Fighter.. this should be interesting. I remember seeing that Quote model before... weird. I do love falling-block puzzle games and Curly Brace though, so maybe I'll pick this up if I feel like it. Put Astro Boy down, he needs an Omega Factor 2 game first! Thanks, these two really different games needed to be ranked in a non-argumented way. @Tibob B-but this platformer from 2004 is objectively better than that roguelike from 2011! Some kind of green goo-goo gas. Day1, I love these games. Reminds me of puzzle fighter. It'll be $30 minimum, which is too rich for my blood. I'll wait for a VERY steep sale. @Tibob I'm here to serve. Nice. I'm not sold on Blade Strangers yet because I'm not huge on Fighters but this I can get down with. More people should have voted b instead of a. I'm terrible at competitive puzzlers. Oh, Nicalis let people vote on a or b to reveal something today and it almost ended at 50%. As a huge fan of Super Puzzle Fighter II Turbo (you have to say the whole name, it's a rule), I approve of this idea but I hope it has a few features that aren't immediately obvious, maybe a couple of different game modes and options. Otherwise, it's definitely going to cost more than it should. Not nearly as ambitious as Blade Strangers, which has characters from Binding of Isaac, Cave Story, Code of Princess, Azure Striker Gunvolt, Shovel Knight, etc, and it legitimately looks like an awesome game, with more characters to be announced soon I'm sure. Reminds me of Puzzle Kombat from Mortal Kombat Deception. @Deadlyblack Me too but the fact that Astro Boy is in this gets me excited. Definitely agree with @NinChocolate, we need an Omega Factor 2, anything to wash away those awful past from them PS2, PSP, DS, and Wii Astro Boy games. @JaxonH Blade Strangers is shaping up to be one awesome fighter. 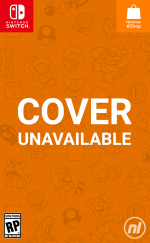 I'd love to see Shantae and Tiny Barbarian added to the roster. @Mew Nicalis posted a gif of the model last year on Twitter (and I think this year too). That's probably why it seems familiar. Is that Black Jack? Sold Day one daaaaaaaaaaay one! Normally Astro Boy and Cave Story in one game would mean instant buy for me, but as it's a puzzler, I'll need a demo. A fighter or action platformer would be a dream come true, even if I didn't know I had that dream up until now. Puzzle Fighter clone but with even more cool and oddball characters that I like. Instant preorder! "The most ambitious crossover since the last one." Got to admit, I LOL'd. Hmm... On the other hand I absolutely love Cave Story and Binding of Isaac, but on the other hand the trailer really doesn't do much to convince me. I need to know more. Ooh, this looks almost exactly like Super Puzzle Fighter! I liked that game a lot. Nicalis is really bringing indies together it seems, I was half-expecting Shovel Knight to pop in there.